Add the perfect touch of luxury to your collection with the Classic Rose Gold Charm from Nomination. Embellish your look with elegant shimmer with the Rose Gold Collection from Nomination. Crafted from polished stainless steel and 9ct rose gold. https://www.johngreed.com/nomination-classic-rose-gold-charm 127488 Classic Rose Gold Charm https://www.johngreed.com/media/catalog/product/n/c/nc1708_0_2.jpg 15 15 GBP InStock /Women /Women/Wedding/Wedding Gifts/Gifts for the Bride /Women/Wedding/Wedding Gifts/Bridesmaids /Women/Gifts/Occasions/Congratulations Gifts /Women/Gifts/Occasions/Valentine's Day Gifts /Women/Charms /Women/Engraved Jewellery /Women/Brands/Nomination /Women/Brands/Nomination/Nomination Charms /Women/Rose Jewellery /Women/Gold Jewellery /Women/Wedding /Women/Wedding/Wedding Gifts /Women/Gifts /Women/Gifts/Occasions /Women/Brands /Women/Brands/Nomination/Nomination Engraving /Valentine's Day /Valentine's Day/Messages Of Love /Mother's Day /Mother's Day/Messages /Mother's Day/Most Loved Add the perfect touch of luxury to your collection with the Classic Rose Gold Charm from Nomination. 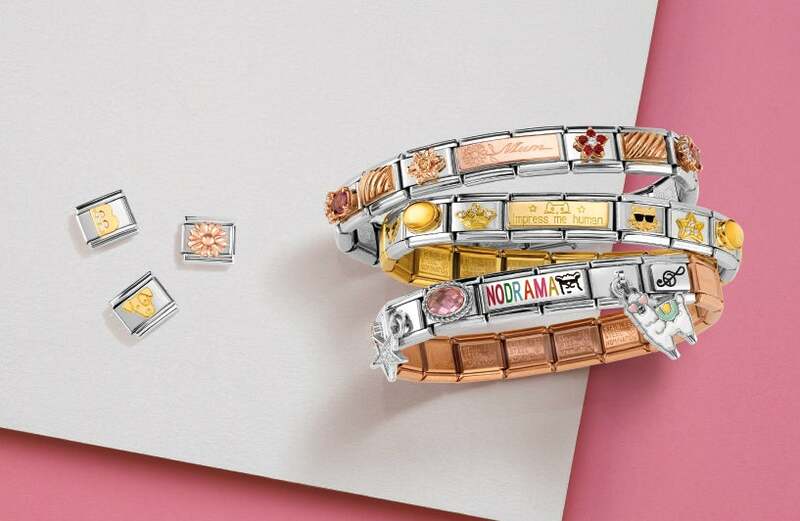 Embellish your look with elegant shimmer with the Rose Gold Collection from Nomination. Crafted from polished stainless steel and 9ct rose gold.